Mike Scioscia (1976) won championships with the Dodgers in 1981 and 1988. The Los Angeles Dodgers are a Major League Baseball (MLB) franchise based in Los Angeles, California. They play in the National League West division. Since the institution of MLB's Rule 4 Draft, the Dodgers have selected 59 players in the first round. Officially known as the "First-Year Player Draft", the Rule 4 Draft is MLB's primary mechanism for assigning players from high schools, colleges, and other amateur clubs to its franchises. The draft order is determined based on the previous season's standings, with the team possessing the worst record receiving the first pick. In addition, teams which lost free agents in the previous off-season may be awarded compensatory or supplementary picks. Of the 60 players picked in the first round by Los Angeles, 34 have been pitchers, the most of any position; 22 of these were right-handed, while 11 were left-handed. Nine players each at shortstop and seven in the outfield were selected, while five catchers, three first basemen, and two third basemen were taken as well. The team also selected one player at second base. Seven of the players came from high schools or universities in the state of Texas, while California follows with six players. Five Dodgers first-round picks have won a World Series championships with the team. Pitchers Bob Welch (1977) and Steve Howe (1979) played with the 1981 championship team. Shortstop Dave Anderson (1981) and first baseman Franklin Stubbs (1982) were a part of the 1988 championship team. Catcher Mike Scioscia (1976) won championships with both teams. Welch was also on the Oakland Athletics' 1988 team which lost to the Dodgers in the 1988 Series. Howe and Rick Sutcliffe (1974) each won the MLB Rookie of the Year award. The Dodgers have made 11 selections in the supplemental round of the draft and have never made the first overall selection. They have also had 16 compensatory picks since the institution of the First-Year Player Draft in 1965. These additional picks are provided when a team loses a particularly valuable free agent in the prior off-season,[V] or, more recently, if a team fails to sign a draft pick from the previous year. The Dodgers have failed to sign one of their first-round picks, Luke Hochevar (2005), but received no compensation pick. 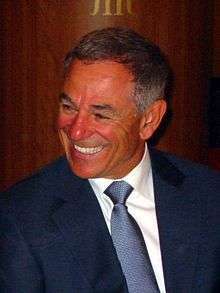 Bobby Valentine (1968) is the only player drafted by the Dodgers in the first round from Connecticut. Rick Sutcliffe (1974) is one of two players taken by the Dodgers in the first round who went on to win the Rookie of the Year award. 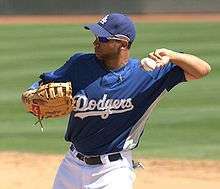 James Loney (2002) is one of six players from Texas the Dodgers have drafted in the first round. Chad Billingsley (2003) is one of 18 right-handed pitchers the Dodgers have taken in the first round. Luke Hochevar did not sign with the Dodgers after being drafted in the supplemental round by the Dodgers in 2005.
a The Dodgers lost their first-round pick in 1978 to the Pittsburgh Pirates as compensation for signing free agent Terry Forster. b The Dodgers gained a compensatory first-round pick in 1979 from the Pittsburgh Pirates for losing free agent Lee Lacy. c The Dodgers gained a compensatory first-round pick in 1979 from the New York Yankees for losing free agent Tommy John. d The Dodgers gained a compensatory first-round pick in 1989 from the New York Yankees for losing free agent Steve Sax. e The Dodgers gained a supplemental pick in 1989 for losing free agent Steve Sax. f The Dodgers lost their first-round pick in 1991 to the New York Mets as compensation for signing free agent Darryl Strawberry. g The Dodgers lost their original first-round pick in 1992 to the Toronto Blue Jays as compensation for signing free agent Tom Candiotti but gained a supplemental pick for losing free agent Eddie Murray. h The Dodgers gained a supplemental pick in 1992 for losing free agent Mike Morgan. i The Dodgers gained a supplemental pick in 1999 for losing free agent Scott Radinsky. j The Dodgers lost their first-round pick in 2001 to the Atlanta Braves as compensation for signing free agent Andy Ashby. 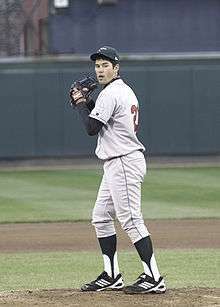 k The Dodgers gained a supplemental pick in 2002 for losing free agent Chan Ho Park. 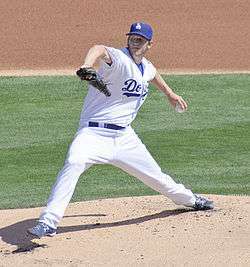 l The Dodgers gained a compensatory first-round pick in 2004 from the New York Yankees for losing free agent Paul Quantrill. m The Dodgers gained a supplemental pick in 2004 for losing free agent Paul Quantrill. n The Dodgers lost their original first-round pick in 2005 to the Boston Red Sox as compensation for signing free agent Derek Lowe but gained a supplemental pick for losing free agent Adrián Beltré. 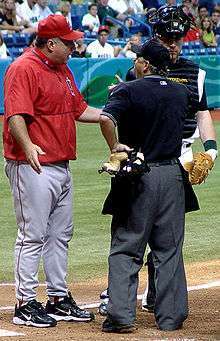 o The Dodgers gained a compensatory first-round pick in 2006 from the Los Angeles Angels of Anaheim for losing free agent Jeff Weaver. 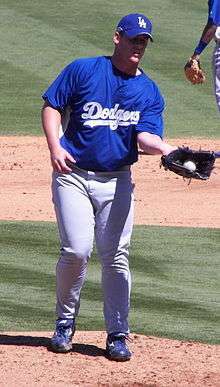 p The Dodgers gained a supplemental pick in 2006 for losing free agent Jeff Weaver. q The Dodgers gained a compensatory first-round pick in 2007 from the Boston Red Sox for losing free agent Julio Lugo. r The Dodgers gained a supplemental pick in 2007 for losing free agent Julio Lugo. 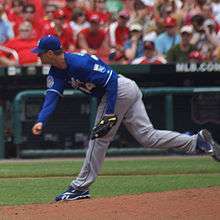 s The Dodgers gained a supplemental pick in 2009 for losing free agent Derek Lowe. t The Dodgers gained a supplemental pick in 2012 for losing free agent Rod Barajas. u The Dodgers gained a compensatory first-round pick in 2015 from the Boston Red Sox for losing free agent Hanley Ramírez. v The Dodgers gained a compensatory first-round pick in 2016 from the Arizona Diamondbacks for losing free agent Zack Greinke. w The Dodgers gained a compensatory first-round pick in 2016 for failing to sign Kyle Funkhouser in the 2015 draft. "MLB First Round Draft Picks". ESPN. Retrieved December 9, 2009. "Amateur Draft: Los Angeles Dodgers 1st Round Picks in the MLB June Amateur Draft". Baseball-Reference.com. Sports Reference LLC. Retrieved December 9, 2009. 1 2 "First-Year Player Draft Rules". MLB.com. Major League Baseball. Retrieved December 9, 2009. 1 2 McCalvy, Adam. "Brewers offer three arbitration". Brewers.MLB.com. Milwaukee Brewers. Retrieved December 9, 2009. 1 2 3 4 5 6 "Amateur Draft: Los Angeles Dodgers 1st Round Picks in the MLB June Amateur Draft". Baseball-Reference.com. Sports Reference LLC. Retrieved January 21, 2010. 1 2 "Bob Welch Statistics and History". Baseball-Reference.com. Sports Reference LLC. Retrieved January 1, 2010. 1 2 "Steve Howe Statistics and History". Baseball-Reference.com. Sports Reference LLC. Retrieved January 1, 2010. ↑ "Dave Anderson Statistics and History". Baseball-Reference.com. Sports Reference LLC. Retrieved January 1, 2010. ↑ "Franklin Stubbs Statistics and History". Baseball-Reference.com. Sports Reference LLC. Retrieved January 1, 2010. ↑ "Mike Scioscia Statistics and History". Baseball-Reference.com. Sports Reference LLC. Retrieved January 1, 2010. ↑ "Rick Sutcliffe Statistics and History". Baseball-Reference.com. Sports Reference LLC. Retrieved January 1, 2010. ↑ "Amateur Draft: First overall picks in the MLB June Amateur Draft". Baseball-Reference.com. Sports Reference LLC. Retrieved December 12, 2009. ↑ "First-Year Player Draft FAQ". MLB.com. Major League Baseball. Retrieved December 14, 2009. 1 2 "MLB, MLBPA reach five-year labor accord". MLB.com. Major League Baseball Players Association. October 24, 2006. Retrieved January 10, 2010. ↑ "Draft Report: 2000s". MLB.com. Major League Baseball. Retrieved December 12, 2009. 1 2 3 "1st Round of the 2005 June Draft". Baseball-Reference.com. Sports Reference LLC. Retrieved January 1, 2010. ↑ "1st Round of the 1965 June Draft". Baseball-Reference.com. Sports Reference LLC. Retrieved January 10, 2010. ↑ "1st Round of the 1966 June Draft". Baseball-Reference.com. Sports Reference LLC. Retrieved January 10, 2010. ↑ "1st Round of the 1967 June Draft". Baseball-Reference.com. Sports Reference LLC. Retrieved January 10, 2010. ↑ "1st Round of the 1968 June Draft". Baseball-Reference.com. Sports Reference LLC. Retrieved January 10, 2010. ↑ "1st Round of the 1969 June Draft". Baseball-Reference.com. Sports Reference LLC. Retrieved January 10, 2010. ↑ "1st Round of the 1970 June Draft". Baseball-Reference.com. Sports Reference LLC. Retrieved January 10, 2010. ↑ "1st Round of the 1971 June Draft". Baseball-Reference.com. Sports Reference LLC. Retrieved January 10, 2010. ↑ "1st Round of the 1972 June Draft". Baseball-Reference.com. Sports Reference LLC. Retrieved January 10, 2010. ↑ "1st Round of the 1973 June Draft". Baseball-Reference.com. Sports Reference LLC. Retrieved January 10, 2010. ↑ "1st Round of the 1974 June Draft". Baseball-Reference.com. Sports Reference LLC. Retrieved January 10, 2010. ↑ "1st Round of the 1975 June Draft". Baseball-Reference.com. Sports Reference LLC. Retrieved January 10, 2010. ↑ "1st Round of the 1976 June Draft". Baseball-Reference.com. Sports Reference LLC. Retrieved January 10, 2010. ↑ "1st Round of the 1977 June Draft". Baseball-Reference.com. Sports Reference LLC. Retrieved January 10, 2010. 1 2 3 4 "1st Round of the 1979 June Draft". Baseball-Reference.com. Sports Reference LLC. Retrieved January 10, 2010. ↑ "1st Round of the 1980 June Draft". Baseball-Reference.com. Sports Reference LLC. Retrieved January 10, 2010. ↑ "1st Round of the 1981 June Draft". Baseball-Reference.com. Sports Reference LLC. Retrieved January 10, 2010. ↑ "1st Round of the 1982 June Draft". Baseball-Reference.com. Sports Reference LLC. Retrieved January 10, 2010. ↑ "1st Round of the 1983 June Draft". Baseball-Reference.com. Sports Reference LLC. Retrieved January 10, 2010. ↑ "1st Round of the 1984 June Draft". Baseball-Reference.com. Sports Reference LLC. Retrieved January 10, 2010. ↑ "1st Round of the 1985 June Draft". Baseball-Reference.com. Sports Reference LLC. Retrieved January 10, 2010. ↑ "1st Round of the 1986 June Draft". Baseball-Reference.com. Sports Reference LLC. Retrieved January 10, 2010. ↑ "1st Round of the 1987 June Draft". Baseball-Reference.com. Sports Reference LLC. Retrieved January 10, 2010. ↑ "1st Round of the 1988 June Draft". Baseball-Reference.com. Sports Reference LLC. Retrieved January 10, 2010. 1 2 3 4 5 "1st Round of the 1989 June Draft". Baseball-Reference.com. Sports Reference LLC. Retrieved January 10, 2010. ↑ "1st Round of the 1990 June Draft". Baseball-Reference.com. Sports Reference LLC. Retrieved January 10, 2010. 1 2 3 4 "1st Round of the 1992 June Draft". Baseball-Reference.com. Sports Reference LLC. Retrieved January 10, 2010. ↑ "1st Round of the 1993 June Draft". Baseball-Reference.com. Sports Reference LLC. Retrieved January 10, 2010. ↑ "1st Round of the 1994 June Draft". Baseball-Reference.com. Sports Reference LLC. Retrieved January 10, 2010. ↑ "1st Round of the 1995 June Draft". Baseball-Reference.com. Sports Reference LLC. Retrieved January 10, 2010. ↑ "1st Round of the 1996 June Draft". Baseball-Reference.com. Sports Reference LLC. Retrieved January 10, 2010. ↑ "1st Round of the 1997 June Draft". Baseball-Reference.com. Sports Reference LLC. Retrieved January 10, 2010. ↑ "1st Round of the 1998 June Draft". Baseball-Reference.com. Sports Reference LLC. Retrieved January 10, 2010. 1 2 "1st Round of the 1999 June Draft". Baseball-Reference.com. Sports Reference LLC. Retrieved January 10, 2010. ↑ "1st Round of the 2000 June Draft". Baseball-Reference.com. Sports Reference LLC. Retrieved January 10, 2010. 1 2 3 "1st Round of the 2002 June Draft". Baseball-Reference.com. Sports Reference LLC. Retrieved January 10, 2010. ↑ "1st Round of the 2003 June Draft". Baseball-Reference.com. Sports Reference LLC. Retrieved January 10, 2010. 1 2 3 4 5 "1st Round of the 2004 June Draft". Baseball-Reference.com. Sports Reference LLC. Retrieved January 10, 2010. 1 2 3 4 5 "1st Round of the 2006 June Draft". Baseball-Reference.com. Sports Reference LLC. Retrieved January 10, 2010. 1 2 3 4 "1st Round of the 2007 June Draft". Baseball-Reference.com. Sports Reference LLC. Retrieved January 10, 2010. ↑ "1st Round of the 2008 June Draft". Baseball-Reference.com. Sports Reference LLC. Retrieved January 10, 2010. 1 2 "1st Round of the 2009 June Draft". Baseball-Reference.com. Sports Reference LLC. Retrieved January 10, 2010. ↑ "1st Round of the 2010 June Draft". Baseball-Reference.com. Sports Reference LLC. Retrieved June 8, 2010. ↑ "1st Round of the 2011 June Draft". Baseball-Reference.com. Sports Reference LLC. Retrieved June 8, 2011. 1 2 3 "1st Round of the 2012 June Draft". Baseball-Reference.com. Sports Reference LLC. Retrieved June 8, 2012. ↑ "1st Round of the 2013 June Draft". Baseball-Reference.com. Sports Reference LLC. Retrieved June 12, 2013. ↑ Gurnick, Ken. "Dodgers tab Holmes with 22nd overall pick". mlb.com. Retrieved June 5, 2014. ↑ Stephen, Eric (June 8, 2015). "MLB Draft 2015: Dodgers take Walker Buehler with first-round pick". SB Nation. Retrieved June 8, 2015. 1 2 Gurnick, Ken (June 8, 2015). "With 35th pick, LA drafts righty Funkhouser". mlb.com. Retrieved June 8, 2015. ↑ Hoornstra, J.P. (June 9, 2016). "Dodgers use 20th overall pick on shortstop Gavin Lux.". Los Angeles Daily News. Retrieved June 9, 2016. 1 2 Hoornstra, J.P. (June 9, 2016). "Dodgers use 32nd overall pick on college catcher Will Smith.". Los Angeles Daily News. Retrieved June 9, 2016. 1 2 Hoornstra, J.P. (June 9, 2016). "Dodgers take Vanderbilt pitcher Jordan Sheffield with 36th overall pick.". Los Angeles Daily News. Retrieved June 9, 2016. ↑ "1st Round of the 1978 June Draft". Baseball-Reference.com. Sports Reference LLC. Retrieved January 10, 2010. ↑ "1st Round of the 1991 June Draft". Baseball-Reference.com. Sports Reference LLC. Retrieved January 10, 2010. ↑ "1st Round of the 2001 June Draft". Baseball-Reference.com. Sports Reference LLC. Retrieved January 10, 2010. ↑ Gurnick, Ken. "Hochevar again chosen by Dodgers". MLB.com. Major League Baseball. Retrieved December 9, 2009.